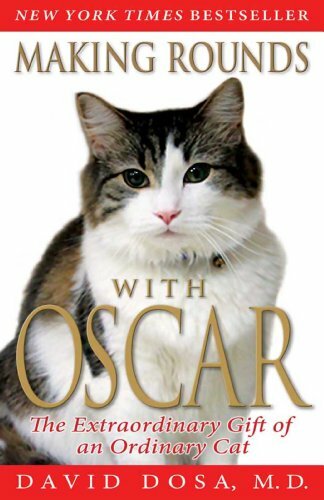 In the summer of 2007 Oscar the cat made headlines around the world. Why? Because he knows when the patients in the Rhode Island hospice where he lives are going to die. Oscar curls up on their beds, keeps them company and enables the families to be with their loved ones at the end. Dr David Dosa's job is to respond to people's medical needs, treat them for their ailments and communicate with their families. Oscar takes care of the rest. He is a steady companion and, because of him, patients don't die alone. Can a cat really predict death? Is he smelling something or responding to behavioural clues? Is he helping guide souls to heaven? Oscar's warm and profound story is heartfelt, sometimes even funny, but always inspiring. A remarkable cat. A life-­changing story. 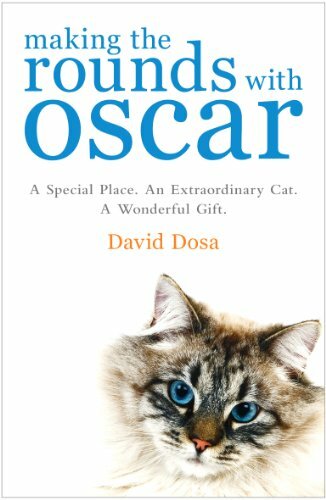 Making Rounds with Oscar: The Extraordinary Gift of an Ordinary Cat is the story of a doctor who, at first, doesn't always listen; of the patients he serves; of their caregivers; and, most importantly, of a cat who teaches by example, embracing moments of life that so many of us shy away from.